こんにちは! (Konnichiwa or hello in Japanese) For the past few days, I have been doing some research and am still looking for good Japanese restaurants in Perth. Japanese is also one of my favourite cuisines. There are quite a few Japanese restaurants in Perth but I stumbled upon Hanami on Urbanspoon from its good reviews and upon recommendation from a friend. So, we decided to give Hanami a try for dinner. This was my first time at Hanami. When we entered the restaurant, we were greeted by a nice smile, friendly service and were seated to the table I made a reservation for earlier. Each of the tables come with a bell to ring for service which I thought was pretty smart. We ordered quite a few dishes to share and not long after placing our orders, our starters arrived. We had the Edamame ($4.90), Beef Tataki ($10.90), Agedashi Tofu ($7.90) and Shisamo ($7.90). Overall, the starters were equally good. 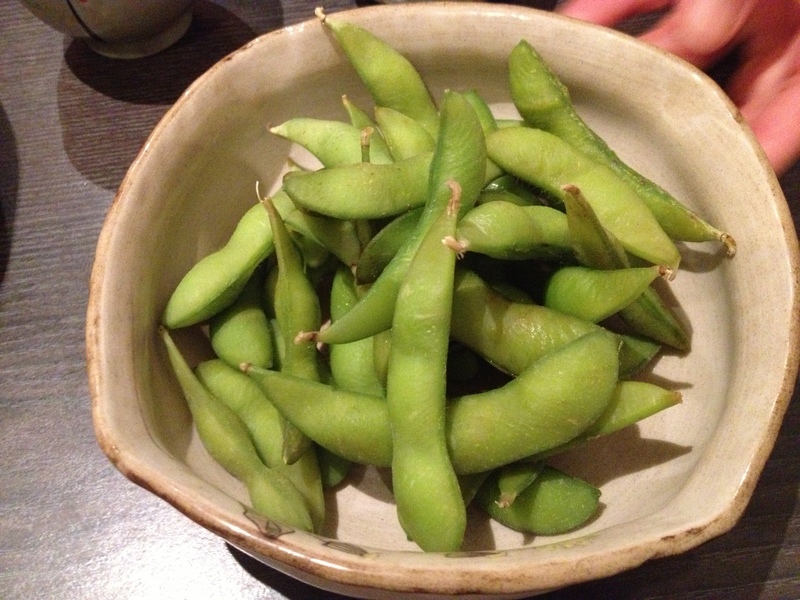 The Edamame had a small hint of salt to it which makes a great snack. 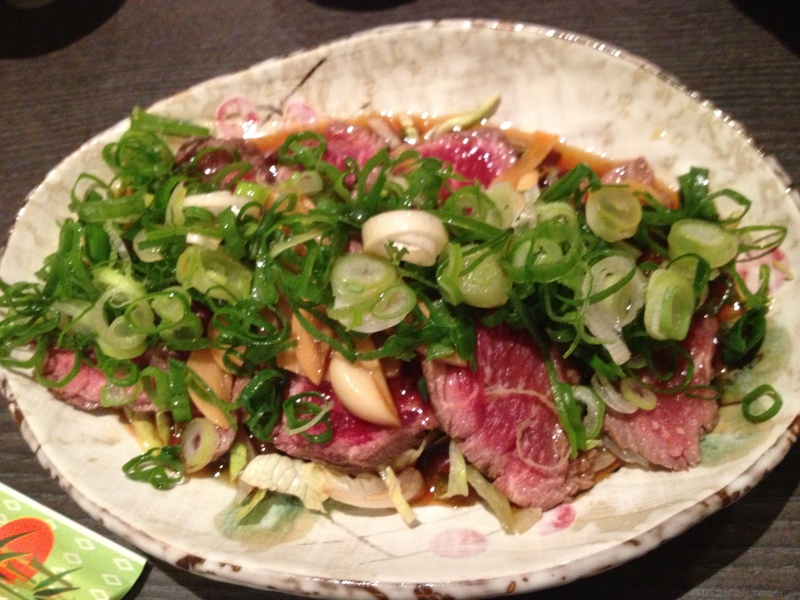 The Beef Tataki was fresh, juicy and tender and the Agedashi Tofu was very soft which goes well with the sauce. Also, this is the first Japanese restaurant that I actually come across selling Shishamo in Perth. 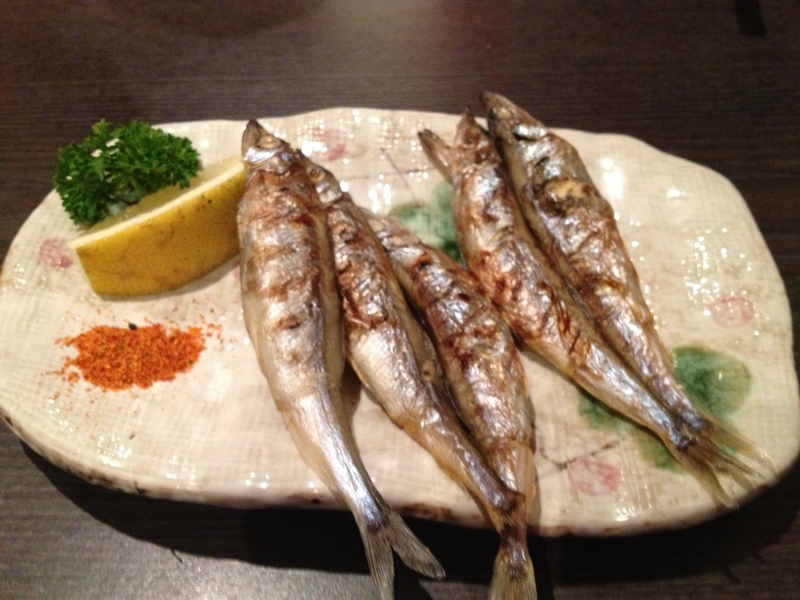 Shishamo is also known as the “Pregnant Fish” or “Willow Leaf Fish”, which is usually served grilled with roe intact and can be eaten whole from head to tail. The Shisamo is also tasty and makes a great snack which would go well with Sake. 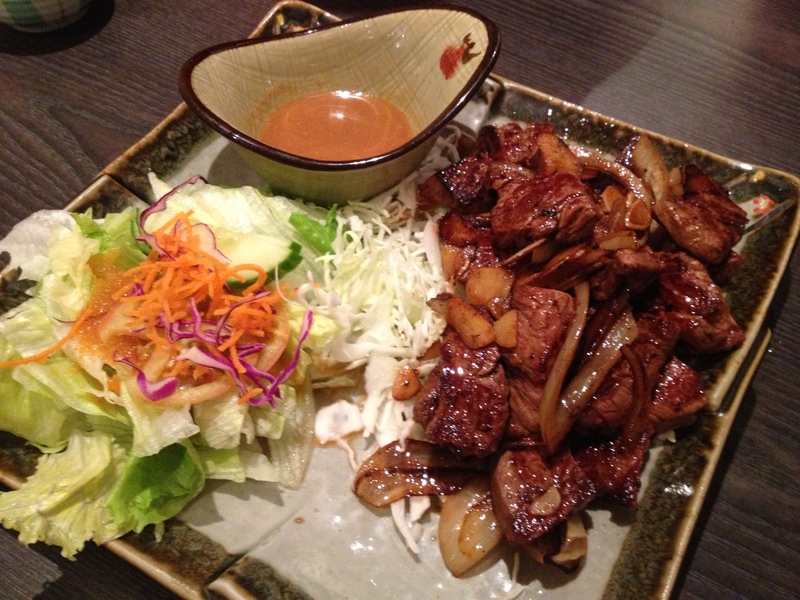 For our mains, we had the Teppanyaki Beef served with mustard sauce ($21.90). The Beef was cooked to medium and was tender and juicy. It also blends well with the mustard sauce. Next, the sashimi arrived. We ordered the Small Assorted Sashimi ($17.90 for 9 pieces) and Small Salmon Sashimi ($15.90 for 9 pieces). The Assorted Sashimi includes salmon, tuna, octopus and kingfish but we were told by the waitress that they have ran out of kingfish that night. 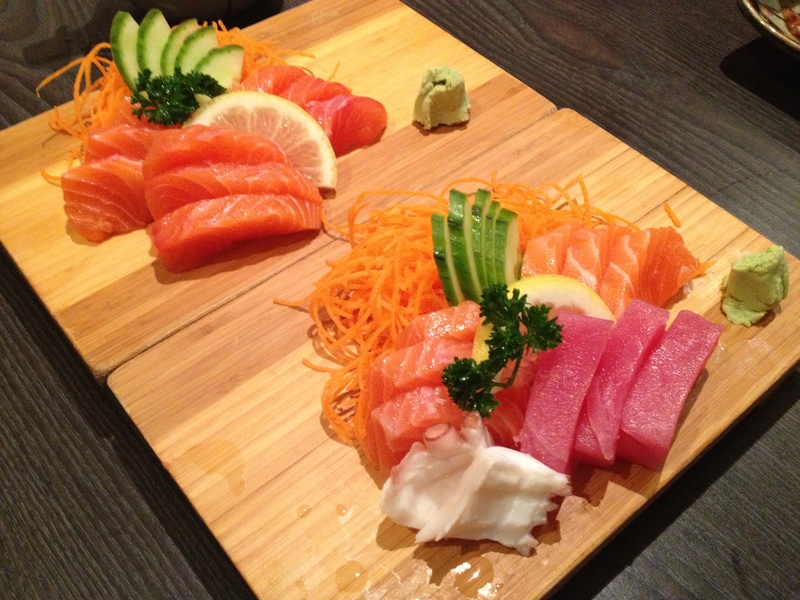 Both the salmon sashimi and assorted sashimi was very fresh. After the sashimi, the Rapture roll ($21.90) arrived. 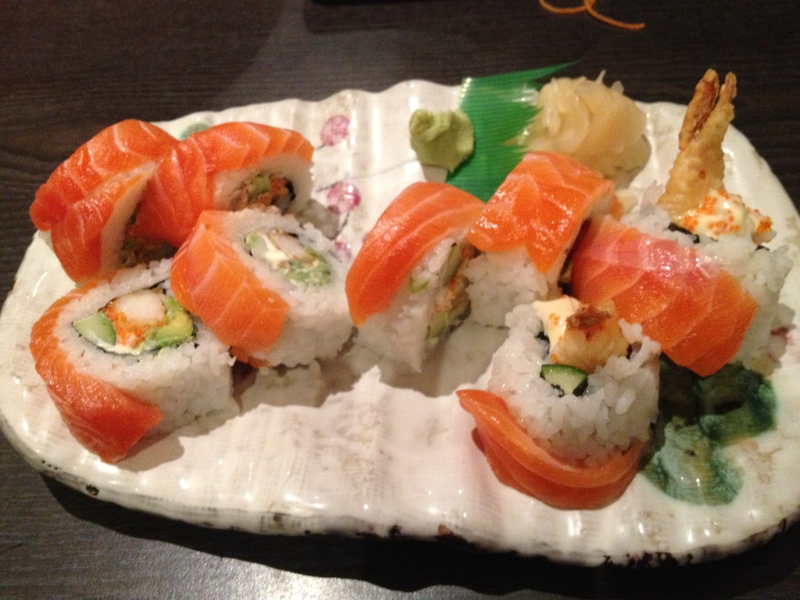 The roll was quite large and it really filled up the stomach but overall, it was very full of flavour and delicious. It was a great dish to end the mains. 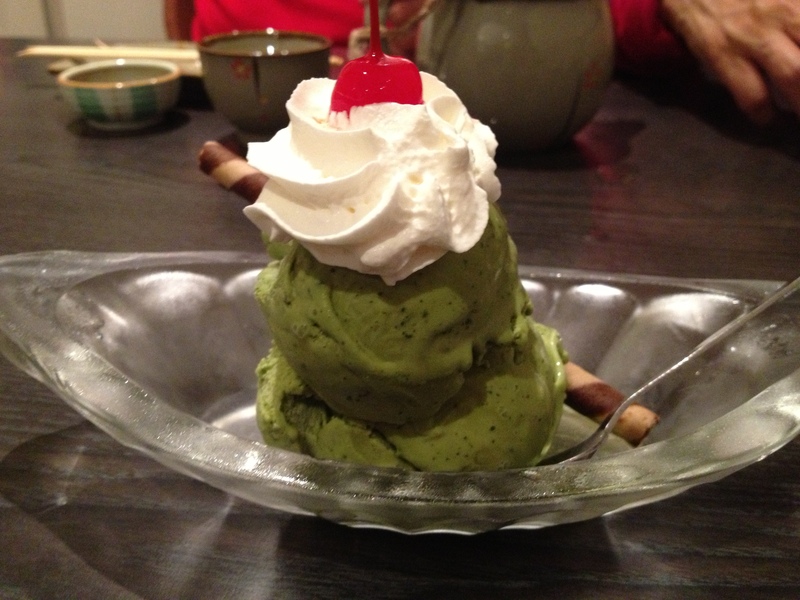 To finish off dinner, I ordered the Green Tea ice cream ($6) for dessert. Whenever I dine in a Japanese restaurant, I think green tea ice cream is always a must and you can’t leave a Japanese restaurant without having green tea ice cream or a traditional Japanese dessert! Overall, I really enjoyed my dining experience at Hanami and will definitely be back in the future. The prices are quite reasonable and is value for money. 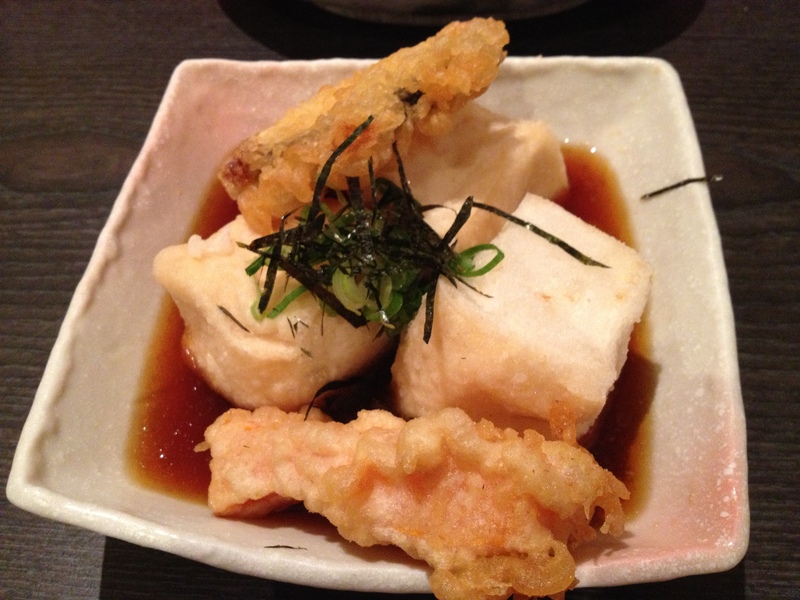 The food is also of great quality and authentically Japanese. Highly recommended!